Not all pineapples are equal. Mostly what the world knows is that pineapples are tropical fruits and they are much sought after in temperate countries such as the United States, Europe and China. The Philippines is one of the top pineapple producers in the world. 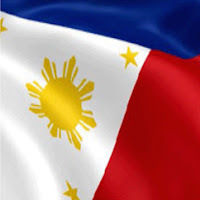 It is one of the top agricultural exports of the Philippines with Mindanao wherein plantations of multinationals account for the bulk of production. What is little considered is that fiber is also much sought after for clothing such as the barong and also for other commercial uses. The red Spanish pineapple is the source of the piña fiber. The red Spanish variety does not count much for its taste. Smaller than the more well-known Hawaiian variety, its course taste does not appeal much to the palate. But its spiny leaves does grow up to 2 meters in length. That is the source of the piña fiber. The fruit is thrown away. In order to maximize the potential of the red Spanish Variety and enable farmers to increase their revenues, Department of Agriculture (DA) Agriculture Secretary Manny Piñol tasked the Bureau of Agricultural Research (BAR) and the Bureau of Plant Industry (BPI) “to lead research initiatives on how to improve the size and the quality of the red Spanish pineapple. Stakeholders were then convened by the BAR together with experts and representatives from Aklan State University (ASU), DA-Regional Field Office (DA-RFO) 5, DA-RFO 6, and the Philippine Fiber Industry Development Authority (PhilFIDA) to conduct and finalize research and development for improving te quality and the size of red Spanish pinapples. The aim is to conceptualize actions and implement the results of the research so that the size and quality of the said variety will improve but the quality of the fiber will still be retained. This will include market studies that will justify the large scale cultivation and planting of the variety thus boosting the supply of the fiber and also making the fruit palatable for consumers. 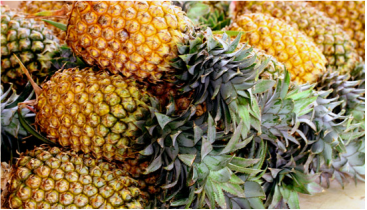 The result will be maximizing the red Spanish pineapple and revenue optimization for farmers. The piña fiber industry used to be a lucrative enterprise but falling production of the red Spanish variety has led to decrease availability of the fibers.